What happens when a Mutual Fund company shuts down / gets sold off? When a Mutual Fund Company shuts down or gets sold off, it is a serious matter to note for any existing investor. However, as Mutual Funds are regulated by SEBI, events of such kind have a prescribed process. 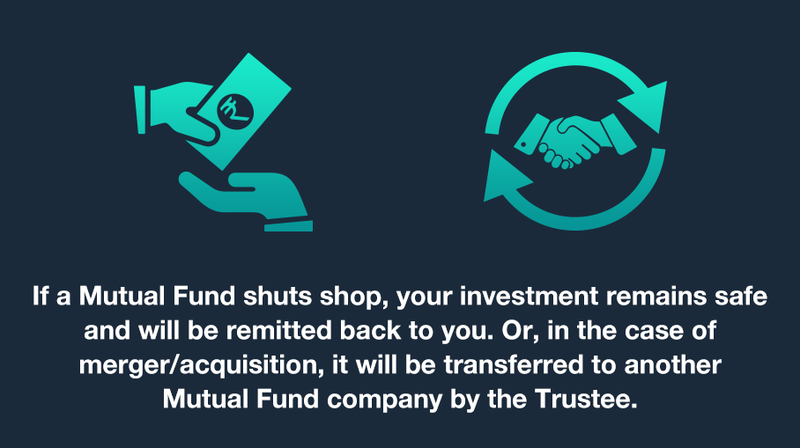 In the case of a Mutual Fund company shutting down, either the trustees of the fund have to approach SEBI for approval to close or SEBI by itself can direct a fund to shut. In such cases, all investors are returned their funds based on the last available net asset value, before winding up. If a Mutual Fund is acquired by another fund house, then there are usually two options. One, the schemes continue in their original format, albeit with a new fund house overseeing it. Or, the acquired schemes are merged with schemes in the new fund house. SEBI approval is required for all Asset Management Company (AMC) Mergers and Acquisitions, as well as scheme level mergers too. In all such cases, investors are given an option to exit the schemes with no load being levied. Any action by investor or fund house is ALWAYS done at prevailing Net Asset Value. How will I evaluate my risk profile? What is the co-relation between risk and return?